Pneumonia is a lung infection that can affect a patient’s breathing. It is most often treated successfully with antibiotics. But what causes pneumonia, and how do you know if you are at risk? Take a look below. 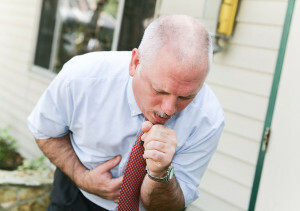 Bacteria, viruses, and even fungi may lead to pneumonia. Bacteria are the most common cause of pneumonia in the adult population. So how do these bacteria and viruses spread? Well, you already have them living in your nose, sinuses, and mouth. It doesn’t take much for them to spread to your lungs as well. You can either breathe in these germs directly, or you may develop aspiration pneumonia. Aspiration pneumonia is caused when you inhale solids or liquids from the mouth into the lungs.